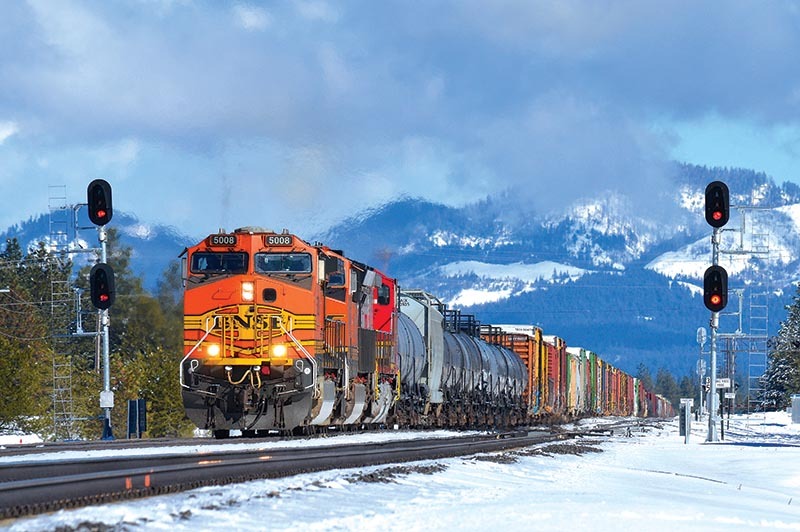 Having come off Montana Rail Link back at Sandpoint Junction, BNSF manifest H-LAUPAS (Laurel, Mont., to Pasco, Wash.) rolls through CP Silver at the former townsite of North Pole, Idaho, on March 3, 2018, with the Cabinet Mountains for a backdrop. They don’t call it “the Funnel” for nothing. 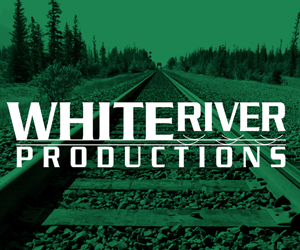 In the years following the 1970 creation of Burlington Northern, the former Great Northern mainline between Spokane, Wash., and Sandpoint, Idaho, suffered a gradual demise that left two separate branchlines in place. 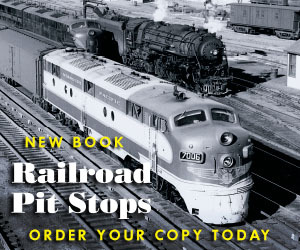 One section is now operated by shortline Pend Oreille Valley Railroad (POVA) between Newport, Wash., and Dover, Idaho, with POVA and Union Pacific sharing the last few miles between Dover and North Sandpoint. The other section is part of BNSF’s Kettle Falls Subdivision reaching north from Spokane toward Chewelah, Wash.
After new track connections were completed in 1972, BN began consolidating through traffic between Spokane and Sandpoint onto its former Northern Pacific line, creating the Funnel. At first, this mostly single-tracked route coped reasonably well under the combined train flow of the former GN; NP; and Spokane, Portland & Seattle lines funneling into Spokane from the west, and the GN and NP lines converging on Sandpoint from the east. In 1972, BN laid six tracks at Hauser, Idaho, to replace some of the storage capacity that had been lost in Spokane due to post-merger yard reductions. Hauser was intended to become a sprawling 76-track classification yard, but wavering economics and BN’s investment in big-ticket projects elsewhere on the system stunted Hauser’s growth over the next quarter-century to no more than a dozen yard tracks. During the 1980s and early ’90s, the Funnel started choking under seasonal increases of export grain and intermodal, as well as other traffic, and even a slight influx of coal bound for either Northwest powerplants or export through Roberts Bank, B.C. 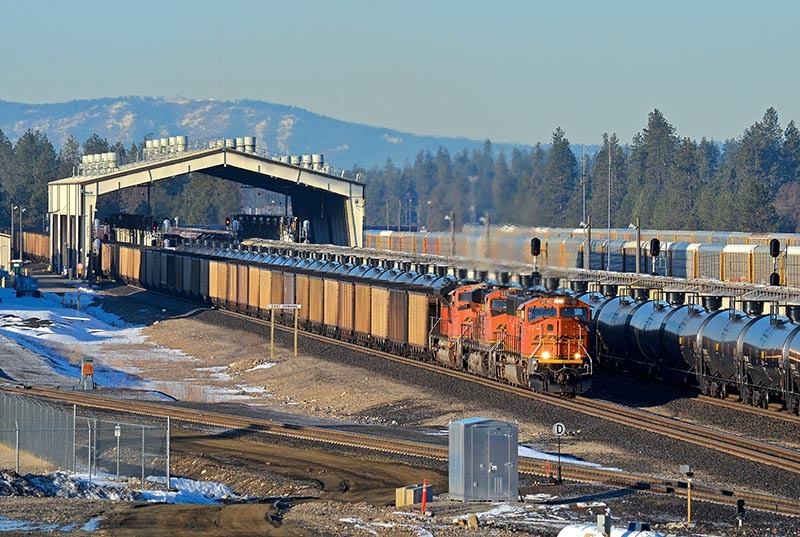 In 1982, BN lengthened the siding at Algoma, Idaho, into a 6.6-mile stretch of dual mainline. Minor additions to trackage were also made at Hauser Yard, at Yardley/Parkwater terminal in Spokane, and elsewhere along the Funnel. 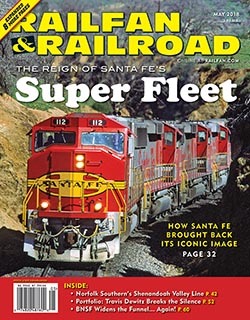 But it wasn’t until BN joined forces with Santa Fe Railway in the mid-1990s that any serious effort to widen the Funnel was begun.